(Long Beach, California) — The Long Beach Coin, Currency, Stamp & Sports Collectible Expo is set to kick off 2017 with their first show of the year (www.LongBeachExpo.com). From February 16-18, 2017, the show will boast the hobby’s first $10 million coin on display, along with gold coin giveaways, educational opportunities for collectors, and as always, fun activities for kids. Highlighting the many features of the Long Beach Expo is the display of the Bruce Morelan Collection of Early Dollars (booth 1348), featuring the 1794 Specimen Dollar, better known as the first, and only, coin to reach the $10 million mark at auction. The Bruce Morelan Collection of Early Dollars is one of many highlights of the Long Beach Expo. 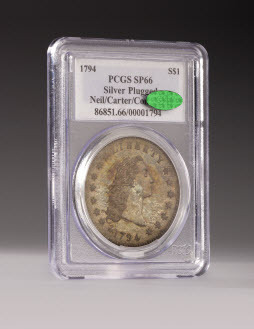 Compiled over years by famed collector Bruce Morelan, the set features 12 early silver dollars, dating from 1794 to 1803, and includes coins of such pedigree, value and grade that it is considered one of the most remarkable achievements in the annals of American numismatics. "We are thrilled to have the privilege to showcase this unprecedented set and coin that many believe to be the first dollar struck on U.S. soil. In fact, we encourage visitors to take a picture with the coin, a piece of American history," said Long Beach Expo President Cassi East. The 1794 Specimen Dollar will be presented in a walk-through, museum-quality exhibition space, perfect for 360 degree views of the iconic coin. In addition to hundreds of dealers from throughout the world of collectibles, two key players in the numismatic industry will be on-site. The U.S. Mint will be present, selling the latest commemorative coins at booth 1148, and PCGS will be grading coins and offering special labels for U.S. Mint releases at booth 807. "This is a great chance for collectors to get the latest U.S. Mint coins, then get their coins graded and holdered with special labels at the PCGS booth, all at one show. 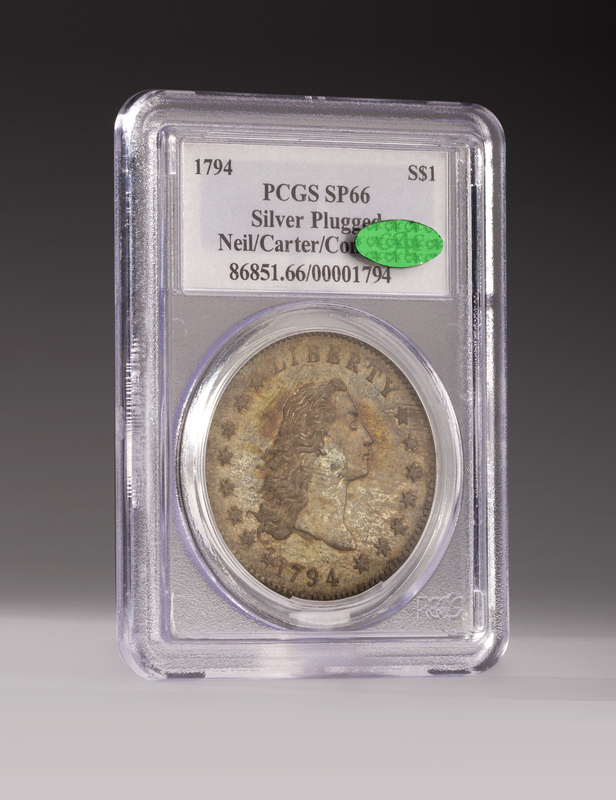 It's a one-stop show for your collecting needs," said PCGS President Don Willis. Each year, the Long Beach Expo gives visitors various educational opportunities throughout the three-day show. For this upcoming show, The National Silver Dollar Roundtable is offering a free silver dollar seminar on Thursday, February 16 from 2:30 to 4:30 p.m. The show also gives visitors a chance to meet with a respected numismatist during "Meet the Expert" sessions. PCGS Founder David Hall will conduct the sessions during all three days of the show (booth 807), Thursday, February 16, 1 p.m. to 2 p.m.; Friday, February 17, 1 p.m. to 2 p.m.; and Saturday, February 18, 12 p.m. to 1 p.m.
"Aside from educational opportunities and an abundance of collectibles from over 500 dealers, the Long Beach Expo is also fun for kids. Be sure to bring your kids by Saturday, February 18 to partake in our Treasure Hunt, where they have the chance to earn up to three PCGS-certified coins, Pokémon cards and a goodie bag," said East. Attendees have three chances to win ½ ounce Gold Eagle coins by way of a prize drawing each day. Attendees have three chances to win ½ ounce Gold Eagle coins by way of a prize drawing each day. Winners will be drawn at 1 p.m. each day of the show. Simply sign up for free at the registration booth. The official auctioneer of Long Beach Expo, Heritage Auctions, will hold their Signature U.S. Coin Auction from Wednesday, February 15 to Friday, February 17. For those locating their coins via the CoinSearch (m.collectorscorner.com), look for listings five to seven days before show day. Free admission is available to the Long Beach Expo with promo code EXPOPR. Go to www.LongBeachExpo.com and click on the “GET PASSES” button.